Rheumatoid lung disease, as its name suggests, is associated with rheumatoid arthritis. Of the 1.5 million Americans who have rheumatoid arthritis, nearly half have some abnormal lung function. Up to one-fourth of them may develop rheumatoid lung disease. In rheumatoid lung disease, the air sacs or alveoli of the lungs and their supporting structures become scarred by inflammation, resulting in impaired lung function. Currently, there are no proven treatments for rheumatoid lung disease, but corticosteroids and immunosuppressants are often recommended. The most common manifestation of pulmonary disease in rheumatoid arthritis is interstitial lung disease. Patients with severe rheumatoid arthritis are more likely to develop rheumatoid arthritis-associated interstitial lung disease. A thorough report by Dr. Jeffrey T. Chapman from the Cleveland Clinic Foundation details the prevalence, signs and symptoms, diagnosis, and treatment for interstitial lung disease. Mayo Clinic researchers suggested that rheumatoid lung disease may be fundamentally different from other forms of lung disease and possibly should be treated differently. 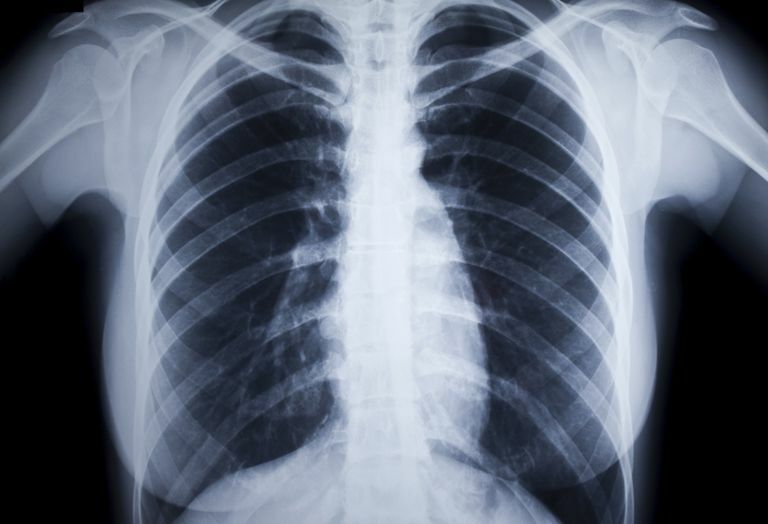 Advancements in computer-assisted image analysis have made it possible to diagnose rheumatoid lung disease earlier and treat it aggressively as a disease of the immune system. Also, the Mayo Clinic research revealed an abundance of a type of T cell, known as a CD4 T cell, in rheumatoid lung disease tissue samples. The most frequent forms of interstitial lung disease are usual interstitial pneumonia and nonspecific interstitial pneumonia. Another presentation combines pulmonary fibrosis and emphysema. Smoking, a known risk factor of rheumatoid arthritis, may also play a role in rheumatoid arthritis-associated interstitial lung disease, along with genetic and immunologic mechanisms. It also has been suggested that rheumatoid arthritis medications may possibly lead to drug-induced interstitial lung disease, in some cases. Methotrexate is the gold standard treatment for rheumatoid arthritis. But, methotrexate has also been suggested as a causative agent in interstitial lung disease. Researchers evaluated the relative risk of pulmonary disease among rheumatoid arthritis patients who were treated with methotrexate. A study concluded there is a small but significant increase in the risk of lung disease in rheumatoid arthritis patients treated with methotrexate compared with other disease-modifying anti-rheumatic drugs (DMARDs) and biologic drugs. In January 2016, study results were published in the Journal of Rheumatology that evaluated the relative risk of pulmonary disease among rheumatoid arthritis patients treated with Arava (leflunomide). No evidence of increased respiratory adverse events was found in randomized, controlled trials of rheumatoid arthritis patients treated with leflunomide. Conway R. et al. Leflunomide Use and Risk of Lung Disease in Rheumatoid Arthritis: A Systematic Literature Review and Metaanalysis of Randomized Controlled Trials. Journal of Rheumatology. March 15, 2016. Epub ahead of print. Conway R. et al. Methotrexate and lung disease in rheumatoid arthritis: a meta-analysis of randomized controlled trials. Arthritis & Rheumatology. 2014 Apr;66(4):803-12. Froidevaux-Janin S. et al. Interstitial lung disease in rheumatoid arthritis. Revue Medicale Suisse. 2011 Nov 23;7(318):2272-7. Kim EJ, Collard HR, King TE. Rheumatoid Arthritis-Associated Interstitial Lung Disease. Chest. 2009;136(5):1397-1405. doi:10.1378/chest.09-0444.